If you’re currently shopping for a new high-end credit card, the American Express Platinum card has undoubtedly shown up on your radar. But a different Amex card might be a much better deal. I’m referring to the Amex Premier Rewards Gold card, or Amex PRG. Allow me to explain. One of the main reasons folks apply for rewards credit cards nowadays is to earn the sign-up bonus. Sure, you might be able to earn 2X, 3X, or even 5X points per dollar in select categories, but it’ll take a ton of spending to get anywhere near the bonuses these issuers offer upon sign-up. If you do a web search for the Amex PRG 50k offer, it should pop up, assuming you aren’t logged into American Express on your browser. Or you’ve cleared your cookies. This is double the typical 25k sign-up bonus. But why settle for 50k when you can get 75k? The answer is you shouldn’t. And there’s actually a way to earn nearly 75k simply by adding authorized users. While this may be a targeted offer, it seems to be pretty easy/common to get targeted. Once you apply for Amex PRG, go ahead and hit your $2,000 opening bonus to earn 52,000 MR points. Then wait for American Express to email you about adding additional users to your card. I received an email that is offering up to 20k MR points once I add authorized users by December 2nd, 2017. These users then get a full three months from the time they were added to spend just $500 on their cards. Assuming they muster that minimum spend, I’ll receive 5,500 MR points per user. If I max out the offer and add four people, I can earn 22k points for $2,000 in spending across four cards. Broken down, that’s $500 in spending per card for a total of $2,000, which equates to 2k points, plus a 5k points-bonus per card. If I add that points haul to my original bonus of 52k, it’s 74,000 MR points. I always spend a little more than the minimum anyway, and/or get bonus points in the higher-earning spending categories. So I’ll probably wind up with more than 75k MR points total. Update: The bonus points appeared just a couple days after my authorized user spent $500. 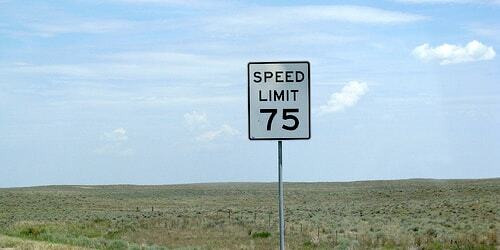 So not only is it a great deal, it’s also lightning fast! How Else Can You Get 75k MR Points Without an Annual Fee? To make this deal even sweeter, the Amex PRG waives the annual fee the first year. So I can hold onto this card for the first 365 days and avoid the typical $195 fee. Compare that to the Amex Platinum, which charges $550 the first year and only offers a paltry 60k MR points sign-up bonus after spending $5k. In other words, with Amex PRG you get an additional 15k MR points for less minimum spending and you save yourself $550. That’s $2,000 to get the 50k bonus (plus 2k MR points), then another $2,000 spent across four cards to get another 22k points. Oh, and those additional authorized users can be added for no charge as well. The annual fee, or lack thereof, for up to 5 additional Premier Rewards Gold cards, is $0. After that, you pay just $35 per card. But there’s no incentive after adding four cards. Your additional card members can also take advantage of certain benefits, like the $75 hotel credit via The Hotel Collection. Sadly, they don’t get their own airline credit though. And you might save even more with Amex Offers, which can be added to authorized user cards as well. All in all, the Amex PRG offer is the cheapest and easiest way to rack up a ton of MR points. 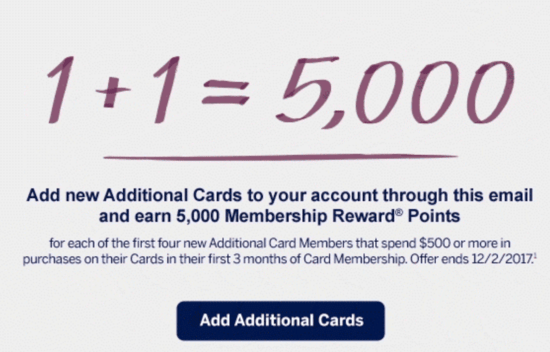 No other American Express card can offer such a sign-up bonus. Previous Previous post: Alaska Airlines Credit Card Review: Make Sure You Get the Good Version!